Your definition of a weblog. Oh, alright then. A weblog is generally accepted to be a regularly (but not necessarily daily) updated webpage that has a variety of links with varying levels (from none to thousands of words) of commentary on those links. So Vavatch Orbital is just a weblog? Pretty much - although it also serves as a front page to my hideously outdated personal site, which is a collection of essays, book reviews and graphics I've done in the past, accessible via the navigation bar at the bottom. If you can't see a navigation bar, click here. Why is Vavatch Orbital any different from the other weblogs? Short answer: it's not any different. Long answer: it's slightly different. I try to make Vavatch Orbital very accessible - many other weblogs refer to each other, often by name, with obscure comments that new weblog readers won't fathom. That's their prerogative and I have no problem with that. However, when I first started reading various weblogs, I had absolutely no idea what they were talking about when they referred to other people in the weblog community. So I don't and I concentrate on posting links, facts and thoughts I find interesting and commenting on them. Sometimes I might link to another weblog or attribute them as a source, but it doesn't happen often since I prefer not to link to pages that are mentioned by the more popular weblogs. A by-product of this is that I don't get linked to by other weblogs, but I'm not particularly bothered about that. I'm just that kinda guy. What does Vavatch Orbital mean? It's a place in Iain Banks' Culture universe. What's Iain Banks got to do with it? He writes extremely good science fiction novels - I've reviewed most of them. I suggest you go and read the always slightly out-of-date About page. You should know that this weblog is only part of the entire 'Vavatch Orbital' website, the rest of which can be visited at www.vavatch.co.uk. Is there anything else that might be useful knowing? 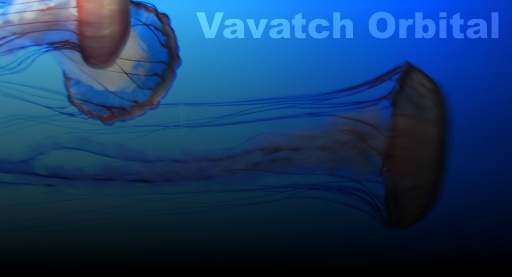 You could save a lot of time reading the Best of Vavatch instead of trawling through all of my archives. It happens a lot. Ignore it.